We have three missionaries to U.A.E, India, and Turkey. These missionaries serve in areas of the world not always friendly to Christians or to the Great Commission. For that reason, we are not publishing their names, pictures, or a description of their work. But they are loved by our congregation, and we are privileged to pray for them and support them financially. George and Carol serve the Lord in their ministry by assisting leaders in developing nations in their efforts to mentor young people from among the poor in the principles of Jesus Christ. They also give leadership to the Pastors Seminar at the National Prayer Breakfast to encourage pastors to pursue friendships in the Spirit of Jesus with people who serve in government. George and Carol also mentor pastors and their wives in the principles of servant leadership after the example of Jesus. The Pattons are involved in river ministry, teaching at the Bible Institute, building a Baptist pastors’ fellowship, and sports evangelism. 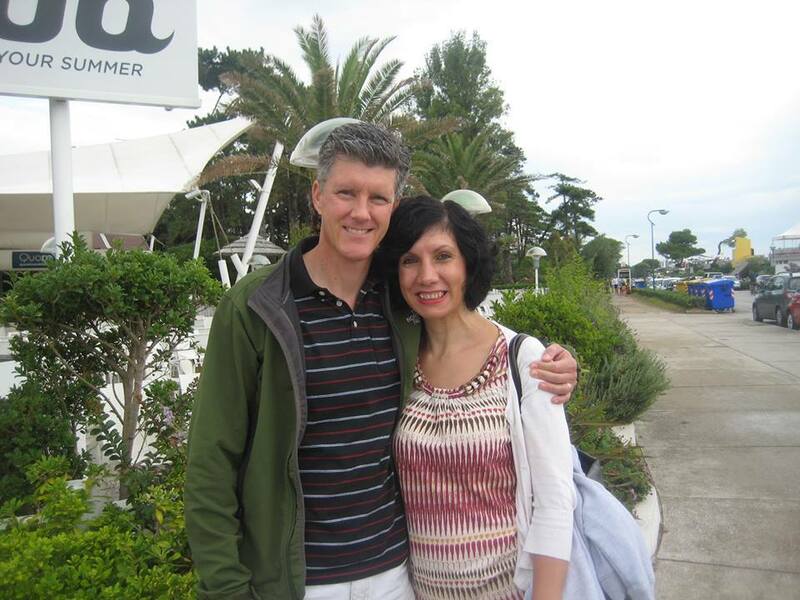 Dan and Alma started sharing Christ with Albanians 1993, just after the fall of communism. From the beginning, their vision was to raise up Albanian believers who would take the gospel not only to their country, but also to the surrounding nations. Since then they have helped lead the development of a thriving Albanian ministry that now includes 6 campus ministries, 2 high school ministries, a growing church-planting ministry, an internet ministry, and Albanian missionaries sent to Kosovo, Turkey, Macedonia, Hungary and Bosnia. Today Alma oversees an outreach to teachers in Albania and Dan is the Regional Director for the Balkan countries for CCC. David and BG Bawks serve in Nairobi, Kenya. David is the lead pastor of Nairobi Chapel Karen, a church plant launched in April 2016. BG serves as the head of the leadership development department at Nairobi Chapel, running the Kinara internship programme that trains young people for full time ministry. David and BG are interested in leadership training, God’s work in the world, new movements in missions, and how the church is growing in different places. They are excited to see how God uses them both to build His kingdom around the world. Our goal as a ministry is to take the message of the love of Jesus to those who have not yet heard the Gospel message. We have found offering free medical/eye camps, digging bore wells, holding Good Life clubs, and reaching out during times of natural catastrophe are effective means of softening the hearts of the people to hear the Good News that Jesus died and rose again for their sins personally. 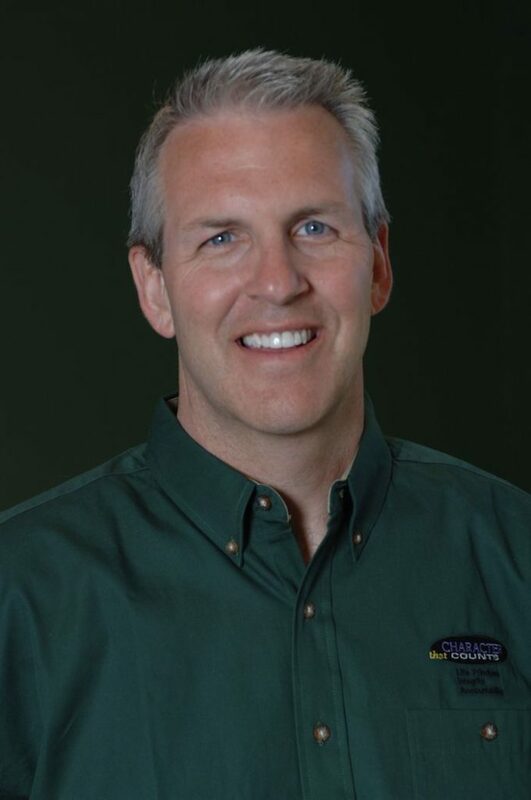 Jeff Belcher is a church planter and Pastor of Church of the Harbor (CoH) in Baltimore, MD. Jeff moved from his hometown of Birmingham, AL to the Northeast in 2014 with a team of 3 families, and they’re working everyday to bring the gospel to a neighborhood marked by high poverty, addiction, and violent crime. CoH works diligently to engage their community on a practical level, and as they’ve developed meaningful trust with neighbors, they’ve seen an increasing openness to the gospel, as is evidenced by 322 professions of faith in 2017 and average attendance having almost tripled in the same year. CoH has been designated by the North American Mission Board as a Multiplying Center, and plan to host their first Church Planting residents in the fall of 2018. Their greatest need is a permanent facility to call home. Jeff has been married to Kelly for 17 years, and they live in Baltimore city with their 6 children and their German Shepherd. Area Director of Prince George’s County FCA- I staff the Prince George’s County FCA with paid personnel and volunteers, grow and maintain our county board, and engage and seek funding with donors so that we can serve every coach and every athlete. I engage, equip, and empower coaches and athletes so they can use their platform of sport to share the gospel and disciples others into a growing relationship with Jesus Christ. Holly began working with Trans World Radio (TWR) in 1997. That same year Andrew joined Campus Crusade for Christ (Cru) to travel for the Jesus Film Project. Nine years later they met at a West Africa partnership training. Andrew proposed to Holly, moved to Johannesburg and joined TWR after they married in 2008. Serving together in Africa nine years, God next called them to a new video team based at TWR headquarters in North Carolina. They serve unreached people groups by delivering the Gospel electronically. As bibleless tribes gain smartphone Internet access, short Bible story films can facilitate discipleship and church planting via social media. Caiti supports the training of cross-cultural workers in fields like literacy, linguistics, translation, world arts, teaching English, and Scripture engagement. Please contact Caiti for more information! Rick Elder is pastoring a small church in Louisiana and ministering to professional athletes with the gospel of Jesus Christ. FCA’s focus is to reach coaches and athletes for Christ and he is excited to be reaching into un-reached people groups. His role is to lead leaders and help to reach their capacity as a leader which will increase their impact. Future Generation International Missions Inc. (FGIM) was started in 2007 in Tampa, Fla., by Pierre and Lorphine St. Louis. They have a heart for the Haitian people and a desire to see lives transformed through the gospel of Jesus Christ. Lorphine was born and raised in Haiti as a house slave. She immigrated to Florida at the age of 18. After she and Pierre, who also has Haitian roots, met and married in 2007, they responded to God’s call to return to Haiti to serve the impoverished nation. Creative Paradox will be beginning a new program called the "The Creative Paradox Documentary Project" featuring artist who are wrestling with the certain paradoxical concepts in their life and in their work. Life and work, Art and Faith, Inspiration and Doubt. This program will be documenting who these artists are and the work they are creating, while trying to financially support these artists in the projects they are undertaking in some small way as well. Our hope is that in helping to tell their story it will be an inspiration to other artists that are early on in the artistic career and help bring them hope in the important yet difficult journey ahead. Standby for more information to come on this exciting project. The Complete Player (TCP) Charity was founded by Andy Schindling, former Pitcher in the Baltimore Orioles organization, in August 2015. TCP was initially started to provide grants to youth baseball players in financial need and since Jan. 2016, TCP has provided over 33 grants totalling just over $23,000. TCP started two new programs in 2018 - TCP Development “Dev” Groups and TCP Mission Baseball. “Dev” Groups are baseball training workouts that have a bible-based character development component. 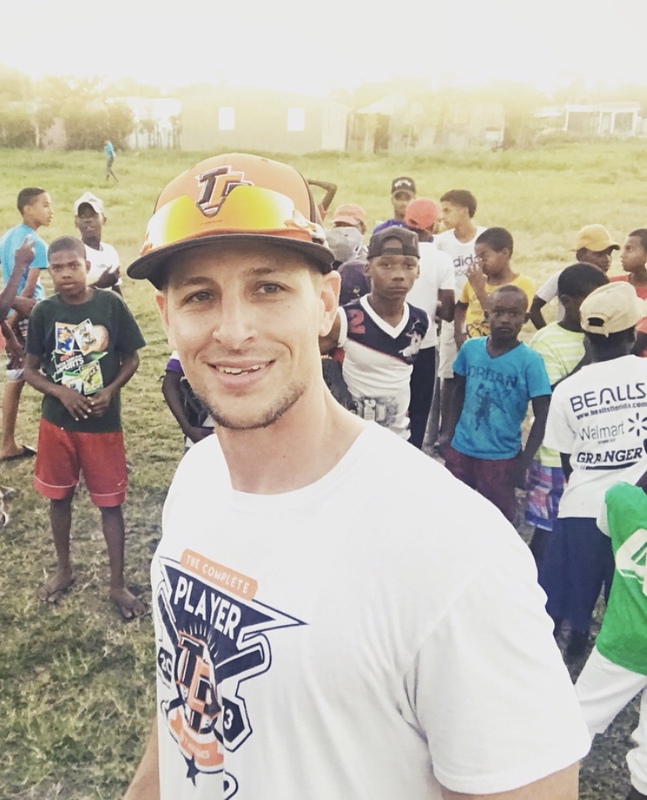 TCP Mission Baseball are annual mission trips to the Dominican Republic where players and families play baseball, serve the community and share the Gospel with Dominican baseball players. TCP also launched an after-school Business & Leadership program in January 2018 that has served over 30 students. 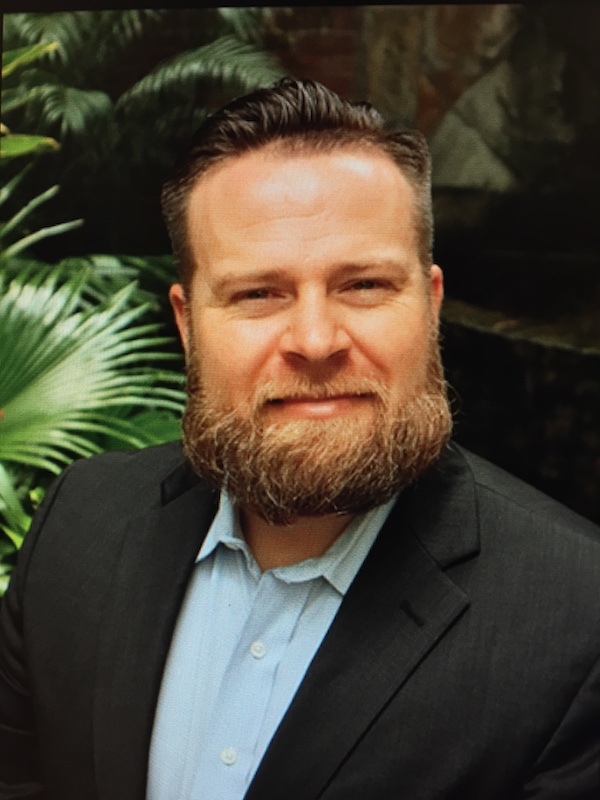 FCA Previous Involvement: Brian was an Engineer for 18 years both as an Active Duty Army Officer and as a Civilian. He grew up as a Coaches son under the Friday night lights of Northern Texas and played Baseball in College. He still is active in sports and loves to compete in triathlon and other endurance events. He loves playing and coaching sports with his boys and found that FCA is a call on his life and an awesome ministry to be a part of. Family Life: Brian and his wife Cristin of 15 years live in Anne Arundel County Maryland with there three young boys, Aiden, Brendan, and Finn! Both Brian and Cristin are graduates of West Point in 2001 and went on to receive a Masters from the University of Missouri Rolla in Engineering Management. FCA is truly a gift from God to be given the opportunity to both inspire and reach coaches, athletes and all who they influence for Christ. Brian is fired up to bring the good news of the Gospel to Anne Arundel County through FCA! Favorite Bible Verse: Joshua 1:9 "Be strong and courageous. Do not be afraid; do not be discouraged, for the LORD your God will be with you wherever you go." Favorite Sport: Baseball, Football, and everything Endurance or Multisport (2 x Ironman and All-American Triathlete). Their mission is to assist women who are incarcerated or who are in recovery in overcoming their destructive behavior by sharing God’s love and hope through the teaching of His Word and through the equipping with life skills. Their goal is to educate and encourage any female post-offender, as she seeks God, in changing her attitude and behavior to become a responsible, self-sufficient member of our community. The mission of Good Life Ministries is to share the love of Jesus Christ through educational ministries, evangelistic outreach, and humanitarian efforts. They strive to build character and restore relationships in individuals, enabling and encouraging them to give back to their communities through transformed lives. IMPACTING THE LIVES OF MOTHERS AND CHILDREN, PRISON INMATES, AND YOUTH. Their mission is to provide Christ-centered nurture for children and families in need, share the love of Christ to incarcerated youth and adults, and to provide programs and experiences for their staff members who foster spiritual and personal growth. The Light House is both a facility and a program. Physically located in a new 24,400 square foot facility in Annapolis, Maryland, we provide emergency shelter and transitional housing for individuals and families who are homeless as well as permanent supportive housing for women. We offer life-changing programs through a case management centered model that includes, counseling and referral services, basic life skills, and wellness and job training programs that help clients reclaim hope and independence in their lives. transformed and who are willing to help transform others. Opportunities to serve include teaching/sharing at the Leadership Training, supporting the Priscilla Project which trains pastor’s wives to start a business to support themselves and to begin building relationships in their villages, visiting schools and teaching Bible stories, leading them in songs and crafts. For more info visit www.lifecountsnow.org.